Construzione Automobili Intermeccanica was a tiny car manufacturer that only built original models from 1966 through 1974. It’s a relatively short amount of time (even though they’ve been building replicas since) and yet, we’ve featured quite the array of their vehicles. The Indra was the final non-replica Intermeccanica built and it lasted from 1971 through 1974. It was offered as a Convertible or in the form of two slightly different Coupes. Most of them were powered by V-8s from Chevrolet. When GM pulled their support, the Indra went out of production. This example, with funky bucktoothed rally-style lights, is one of just 60 convertible Indras produced – 125 were built in total. This one should bring between $80,000-$90,000. Click here for more info and here for more from this sale. 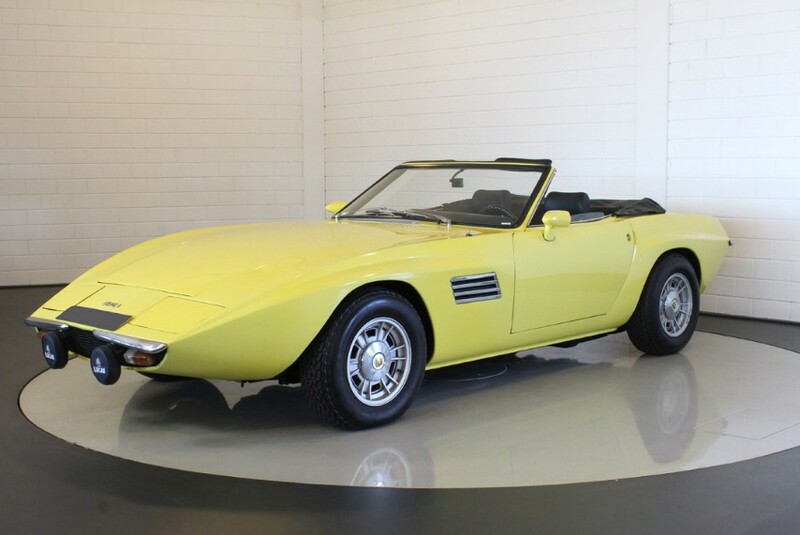 This entry was posted in Uncategorized and tagged 1972, auctions, cars, classic cars, coys, indra, intermeccanica, spider by classiccarweekly. Bookmark the permalink.